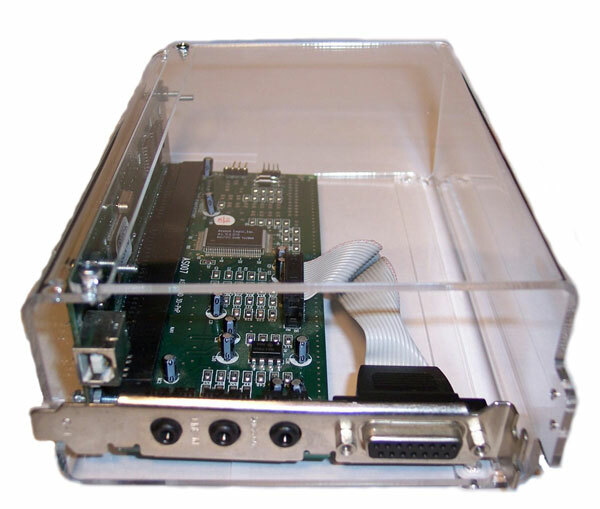 Place the usb2isa / ssi2-isa card holes for attaching in the screws and fasten with nuts. 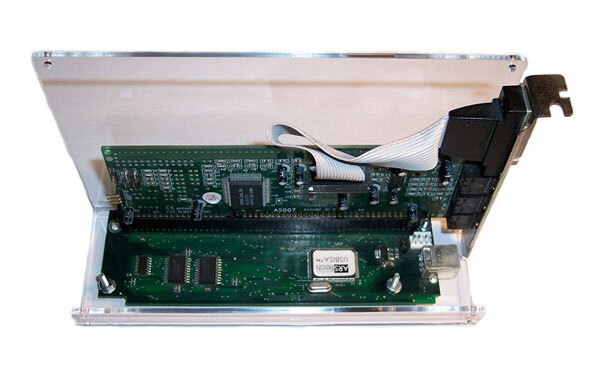 Plug the ISA card in the slot of the usb2isa / ssi2-isa card. Place the cover of the box - depending on the height of the ISA card, and fix the cover with 4 screws to the shell. Fix the metal bracket of the ISA card to the cover - directly or with the plastic spacer. 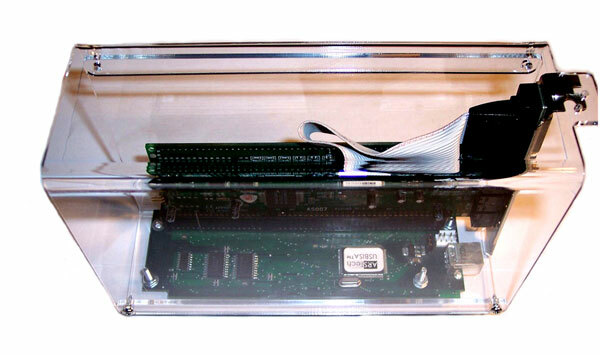 The usb2isa / ssi2-isa and the ISA cards are ready for use - place in a horizontal or vertical position as desired.